Do you keep hearing about rent to own homes? There are many instances when this type of transaction can be beneficial to both a buyer and a seller. Rent to Own and Owner Financed opportunities to purchase a home can be very attractive when the tenant given the option to buy a home. Typically the seller of the home will lease the home for a duration of time. When the lease is up, the tenant has the option to purchase the property. In Stafford, and Fredericksburg, VA, the money that was paid to the owner of the home during the duration of the rental agreement can be deducted from the price of the home. The advantages of rent to own is that the price is almost always agreed upon, and the when the sales contract is ratified, the purchaser and seller normally cannot change the terms of the contract including the price. Why would someone want to Rent to Own? That is a great question, normally because the of the strict guidelines that lenders require, and which a buyer may have been denied a pre approval by a lender because of a low credit score. In these cases rent to own homes are a great choice along with owner financing. For buyers in Stafford, and Fredericksburg who may need to work on credit this could be a opportunity to take advantage of great prices of homes on the market in Virginia. How can I find out about Rent to Own options for homes in Fredericksburg, and Stafford VA? These are great opportunities, however they are not as plentiful as you might imagine. 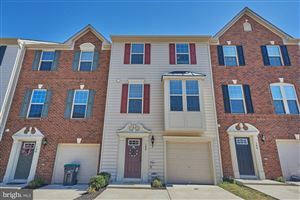 For a free list of these properties including owner financing please email us or call 540-834-6924. It's important to contact us because when we are made aware of rent to own options we can let you know and send you a list. These prospects do not last long so be sure and contact us for a free list of for rent to own or owner financing homes available in VA.
Did you know FHA just rolled new guidelines for lending? You may be surprised it's important to see if you qualify for a mortgage now that these new rules have recently gone into effect. If you have had a foreclosure or a short sale , the waiting period has changed from the 3-5 years to 12 months. The New Back to Work Program is allowing many Virginia home buyers the opportunity to purchase again much sooner and take advantage of the low interest rates. Give us a call today and we can provide you with lender contact information and see if this is an option for you. 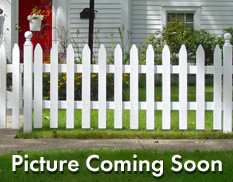 Also, new guidelines with credit scores of 580 is now allowing more buyers to take advantage of Virginia Homes Sales.